The Adolescent Brain Cognitive Development (ABCD) consortium, established in 2015 by NIH Institutes and Centers, was created to put together the largest long-term study in the United States to specifically explore and understand adolescent brain development into adulthood. This study intends to answer questions that would provide more accurate answers and solutions to child and adolescent public health issues, such as how sport injuries impact developmental outcomes and how the occasional versus regular use of substances affect learning and the developing brain. Scientists from the University of Minnesota, Twin Cities will lead one of the thirteen ABCD project locations, joined by researchers from Virginia Commonwealth University, Washington University, and the University of Colorado. 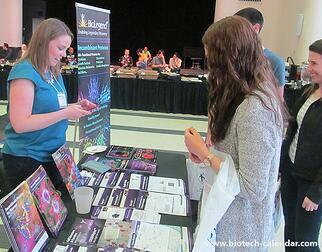 The University of Minnesota received $4.88 Million in funding from the NIH for this project. The funding will aid in extensive data collection, from 11,875 participants, 9-10 years old, while they develop into adulthood over a ten year period. Subjects will undergo a complex initial assessment, followed by periodic testing, including advanced brain imaging, neuropsychological testing, and observation of substance use, environment, and social functioning. Scientists will discover for the first time a baseline for what normal brain development looks like in children, similar to the standard for height and weight. This comprehensive collection of data will be available for scientists, psychologists, and researchers to analyze for years to come. It is no surprise that this research is taking place at the University of Minnesota, where life sciences research is a priority. The University of Minnesota spent $608 million on life sciences research in 2017, with a total of $922 million in total research and development that year, landing them a spot in the top 3% in the nation for total R&D expenditures. 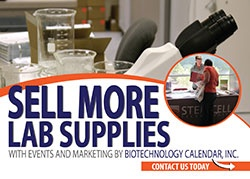 On May 2nd, 2019, Biotechnology Calendar Inc looks forward to hosting its 19th annual BioResearch Product Faire™ event at University of Minnesota, Twin Cities. As an exhibitor, straightforwardly market your product to researchers, lab managers, professors, and university staff and network with hundreds of scientists actively seeking the newest and latest technologies to aid their research. For more information, visit the link below.